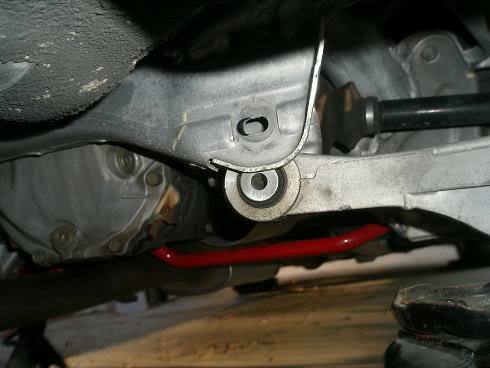 This article will show you how to install a SPC rear camber kit and make modifications for Toe bolts. Jack the car up and place jack stands. Loosen stock toe bolt. 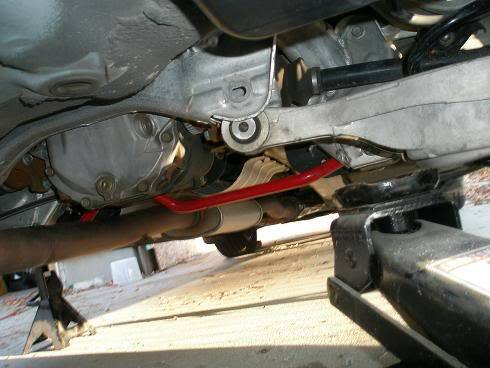 Using hydraulic jack raise the bucket (control arm) slightly to relieve pressure on the toe bolt. Pull out the toe bolt. Lower the jack just enough to let the control arm past the hole. Place template. Using a sharpie, color the sides of the hole to elongate. To save time since I don’t plan to put a lift kit on my car i marked only the INSIDE edge. Don’t forget to do both sides on the arm. Using the dremel, carve away at the hole until you can no longer see your marker. Make sure that you have dremeled enough by inserting new toe bolt with washer and ensuring 360° travel. Raise the jack to line up control arm with hole and insert new toe bolts. I installed these on a separate day for lack of time and didn’t have a camera. These are straight forward. 1) Remove nut from both sides camber arm. 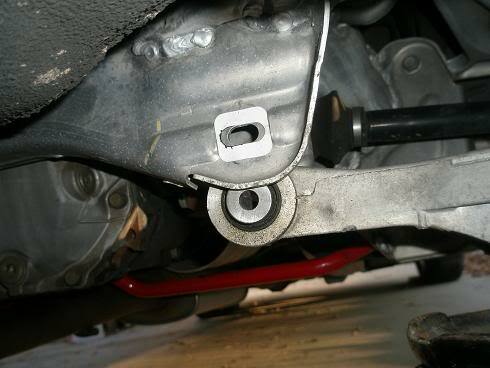 2) Remove/push out the bolt holding it in. 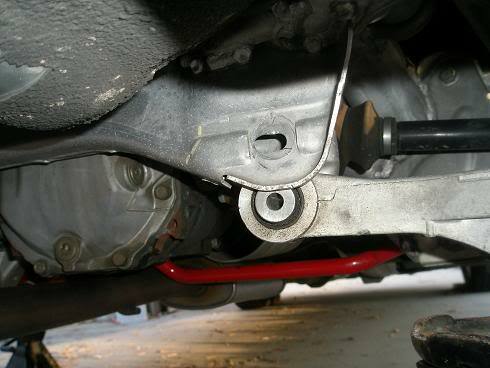 3) Make sure that there are even amounts of threading on either side of the new camber arm. 3) Place new camber arm in place of old one, insert bolts, screw on nuts. 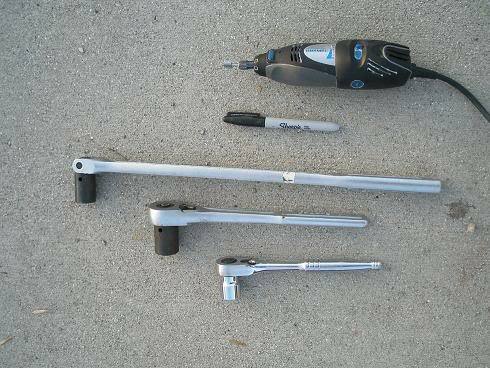 4) Rough adjustment is easily done by holding stock arm in place using the bolt holes. Adjust the new arms to this size and then tighten down nuts on either side of adjuster. Now, go drive your car to the alignment shop.